Virtual-Hideout.com: Help Kingston design a Wi-Drive game and win up to $1,500! Help Kingston design a Wi-Drive game and win up to $1,500! Always wanted to be a game designer? Here’s your chance to use your creativity — and to win one of 18 prizes, from Kingston® memory and Flash products to the Grand Prize of $1,500 — plus we’ll promote the winning game around the world. Your chances of winning increase when you incorporate Kingston’s new Wi-Drive into your game.Learn more about Kingston’s revolutionary Wi-Drive. Don’t miss this opportunity to be a game designer. Enter Kingston’s Wi-Drive Game Contest today! 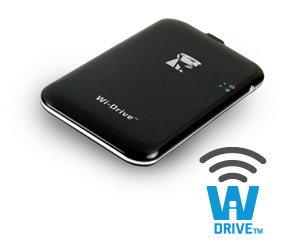 Include Wi-Drive images from http://www.facebook.com/media/set/?set=a.10150309324253943.412781.114889148942 in your game. Host your game on the website of your choice. Like us on Facebook at facebook.com/kingstontechnology. Check our Facebook page to check out the games, give feedback and see if you won.